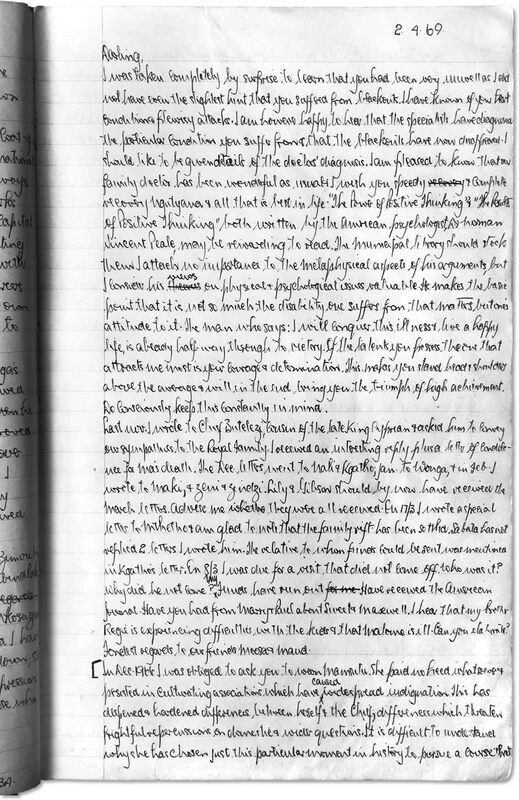 In January of 1990, Nelson Mandela wrote his last journal entries while being imprisoned. This journal entry above is the last archived note that exists. It was written in a place called Victor Verster Prison, a transfer facility between ‘imprisonment and freedom” (abc.net.au). While sitting in literal limbo, Mandela’s mind was occupied with the happenings of a gathering of ducks on the lawn. 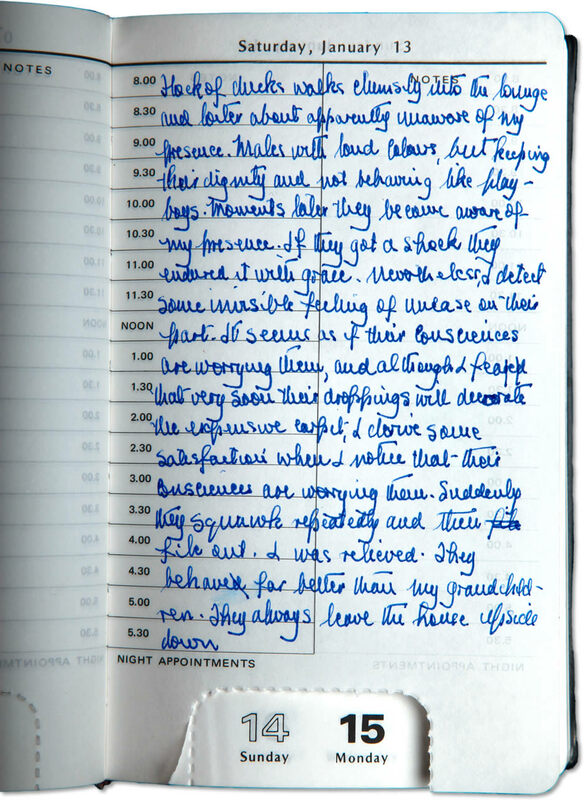 The passage seems like an unconscious stream of observations that he granted his body permission to write down. He is metaphoric with his description of the male ducks’ “loud colours,” and how they hold themselves with “dignity” rather than as “playboys”(abc.net.au). Throughout the entry, he is sensitive to the notion that the birds are “uneasy,” and that their “consciousness is worrying them” (abc.net.au). This social analysis is fascinating when taken into account that Mandela had not been a part of a society in twenty-six years. 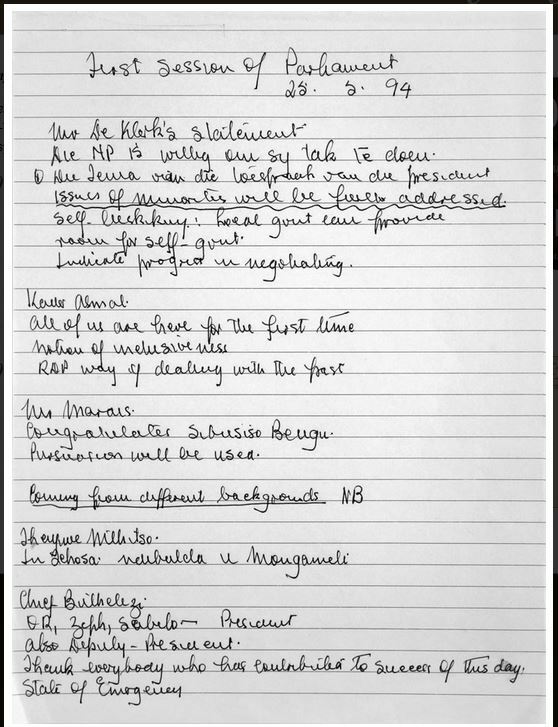 Mr. Mandela wrote the letter above to his wife, Winnie, on February 4th, 1969 from prison. He had recently learned of some alarming health issues that Winnie had been experiencing. Although they have been separated physically for years, his profound, unwavering love for her shines through when he writes, “of the talents you possess, the one that attracts me most is your courage and determination. This makes you stand head & shoulders above the average & will, in the end, bring you the triumph of high achievement. Do consciously keep this constantly in mind…” (abc.net.au). The Former South African President, Nelson Mandela, passed away yesterday at the age of 95. The world is mourning a man who was a fearless global hero for equality and South Africa is mourning the loss of “a father.” Mandela was a beautiful correspondent, and as a tribute to him we will be posting letters that he wrote throughout his life. In the worlds of the Dalai-Lama, “his spirit must be continued” (news.com.au). This is a letter to his daughters after his wife, Winnie, was arrested and detained for five months with twenty-one others. 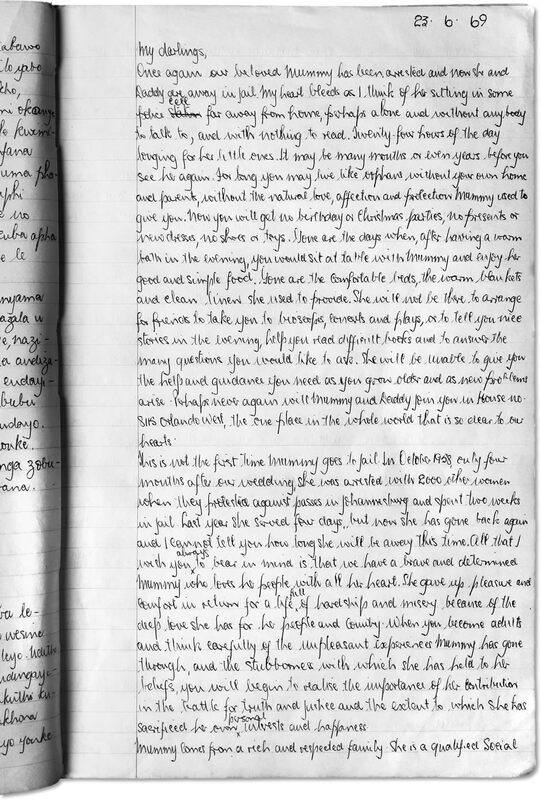 He begins the letter with “My Darlings,” and explains the real potential that “perhaps never again will Mummy and Daddy join you at our House,” but that it remains the most important place in the “whole wide world” to them (abc.net.au).